When Superman: The Movie (aka Superman) was released, the idea of adapting a film around a comic book character (even one as iconic as Superman) was simply unimaginable. However, Superman did the impossible: it created a whole new genre of film and established the ground rules of how to do it successfully (in every sense of the word). Superman did so many things right that even when the same group made more films, all would sadly fall short of the standard Superman set for all those that would follow. Superman is a very long film (the original cut is close to two hours and fifteen minutes by closing credits time, the extended edition I imagine longer), but it can be summarized quickly. On the distant planet of Krypton one of the leaders, Jor-El (Marlon Brando) warns that the planet will be destroyed soon. He is not only not believed but has been ordered to remain silent, lest he inspire panic in the population. Jor-El says neither he nor his wife will leave Krypton. He doesn't say anything about his infant son, Kal-El. 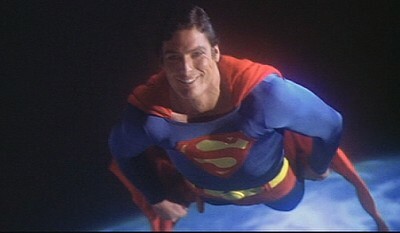 The father places his newborn on a small spacecraft and sends him to Earth just as Krypton is destroyed by its red sun. The spacecraft crashes near Smallville, Kansas, where Jonathan and Martha Kent (Glenn Ford and Phyllis Thaxter) find the child. They soon realize this is no ordinary child, and decide to raise him as their own with the name Clark Kent. Young Clark (Jeff East) is a good kid, but frustrated that his powers: his incredible strength, speed, and enhanced senses like sight and hearing, must all be kept hidden. Sadly, Pa Kent dies and Clark decides he needs to find himself, find who and what he is. He goes north, all the way up to the Arctic or North Pole, and with a crystal he found on the Kent farm he is able to create a Fortress of Solitude. Here he also meets the shadow of his father, who takes him on a twelve-year journey to the stars, returning him when Clark would be 30 in Earth-years. 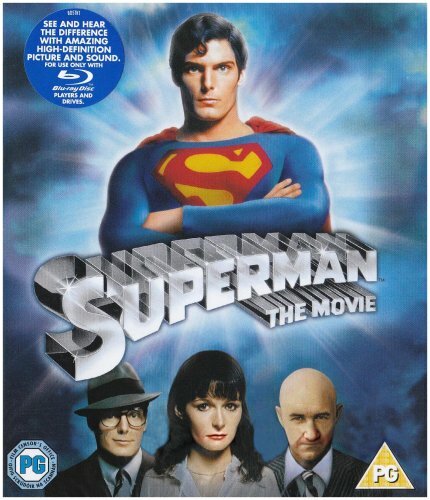 Clark Kent (Christopher Reeve) now goes to Metropolis to work as a mild-mannered reporter for The Daily Planet newspaper. Here, he meets his rapid-fire editor Perry White (Jackie Cooper), star reporter Lois Lane (Margot Kidder) and eager young photographer Jimmy Olsen (Marc McClure). Lois shows no interest in Clark and only begrudgingly acknowledges that he might be a good reporter, but in a helicopter accident that nearly kills Lois Lane, in sweeps to her rescue 'a friend', whom we know is Superman. Soon Superman starts coming in to fight for 'truth, justice, and the American way'. This does not sit well with Lex Luthor (Gene Hackman), the self-proclaimed criminal mastermind who has come about with the greatest swindle/crime/mass murder in world history. Aided by his bumbling henchman Otis (Ned Beatty) and luscious secretary Miss Teschmacher (Valerie Perrine), he is going to use twin nuclear missile tests to set off the San Andreas fault, sinking much of California to the sea...and build a new California with him as the exclusive property owner. Superman as I said makes so many right decisions, chief among them the fact that it takes the premise seriously. Mario Puzo, the writer of The Godfather, wrote the story but the screenplay was by four people (at least credited): Puzo, David and Leslie Newman, and Robert Benton (with Tom Mankiewicz as creative consultant). This is a violation of one of my Golden Rules of Filmmaking: There Should Be A Maximum of Three Writers on A Film, but Superman proves the very rare exception to this rule. I think in this rare case it works because everyone treats Superman as an epic, almost a biopic, as opposed to a comic-book feature. Superman is a massive production, but the production (both in front and behind the camera) made the wise decision to play everything straight. As far as they were concerned this was a real world, populated by real people. There was never any attempt to mock Superman or even Lex Luthor (despite his own raging comic megalomania). The film never treated the material like a joke, suggesting that the audience not take all these people and events seriously. Now let me be clear: this isn't to say that there aren't funny moments in Superman. There are some winks to the audience (such as when Clark Kent attempts to change in a phone booth only to see it is not a full-length booth). Most of the comedy comes from Luthor and his henchmen Otis and Miss Teschmacher, particularly whenever he has to come up with more and more plans to gain control of the twin missiles. However, the genius of both Gene Hackman as Luthor and director Richard Donner is that it is never broad or makes Luthor look like an idiot (Otis, who is suppose to be a bumbler and is basically comic relief, can be an idiot but that's not a flaw). What is brilliant about Hackman is that his Lex Luthor never rages or rants. Instead, it is his arrogance, his excessive confidence in his own genius and the way he is incapable of understanding how no one else sees things his way that makes him both amusing and dangerous. Make no mistake: Lex Luthor is not stupid. He is the only one to make the connection between Superman and kryptonite and the only one who sees all of Superman's vulnerabilities: both the kryptonite and Superman's total devotion to goodness. Luthor is not comic in his evil: when Superman asks him if he gets his kicks by dreaming of the deaths of innocent people, Luthor calmly replies, "No. By causing the deaths of innocent people." Luthor is not a man to be trifled with. The idea of having leading stars like Hackman and Marlon Brando in supporting parts while giving the chunk of story to relative unknowns like Reeve and Kidder was another brilliant idea. This allows us to both enjoy talented actors show sides they rarely showed (for Hackman, a strong sense of comedy with menace, with Brando a sense of great seriousness and importance). Speaking of Brando, while he is only on screen for the first fifteen to twenty minutes (and from what I understand, getting paid $5 or $10 million for a bit part), he makes the most of his time, creating an imposing figure in Jor-El. The only thing I would quibble with Brando on is his pronunciation of the planet as "Kryp-TUN" rather than the more established "Kryp-TOHN", which still strikes me as odd. However, that is really a minor point. The smaller parts are also so brilliantly played. Ford's Pa Kent in his few moments gives his son words of wisdom (he was put on this Earth for a reason, and it wasn't to score touchdowns), Cooper was a delight as the short-tempered Daily Planet editor, and McClure shone as the eager young photographer. Even in virtual cameo roles, like Terence Stamp's General Zod or Susannah York's Lara (mother to Kal-El), they made the most of their screentime. Moving on to the main roles, they were simply perfect. Reeves had to play two roles: the meek, timid, almost frightened Clark Kent and the strong and noble Superman, and he did it beautifully. He not only changed his physicality (hunched over, neck sinking into his body when Clark, erect with chest sticking out as Superman) but also his voice, shifting from a small voice to one that almost appears to be deeper and more confident. Similarly, Kidder's Lois Lane goes from assertive and almost dismissive with Clark to a weak-in-the-knees giggling schoolgirl with Superman. The scene where she is clearly befuddled when interviewing Superman is textbook on how to play a girl in love. Of course, it is easy to fall in love with simply one of the most beautiful sequences in Superman: the Man of Steel taking Lois to flight. Accompanied by John Williams' lush and romantic music and Geoffrey Unsworth's cinematography, one can see Lois and Superman falling in love. This is enhanced by Kidder's internal monologue, where she begins by metaphorically asking Superman, 'Can you read my mind?' It's basically the lyrics to a song she's speaking, but every element is so beautiful it seems as if she is truly speaking to herself, attempting to work out the complex emotions overwhelming our cynical, jaded reporter. As a side note, Unsworth sadly died after completing Superman, and the film is dedicated to him. This is extremely fitting, since his camera work was vital in bringing that epic feel to the project, from the grand sweeping sights of Krypton to the sweeping plains of Kansas (via Alberta, Canada) and the stunning flight sequences above Metropolis (which looks oddly similar to New York City). So many other elements work to make Superman such a brilliant film: Yvonne Blake's costumes (from the shimmering gowns on Krypton to the small-town wardrobe of Smallville and Lois Lane's gown to Luthor's suits...although McClure's plaid jacket was very '70s), John Barry's extraordinary sets (the doomed planet Krypton, the unruly Daily Planet offices, Luthor's massive underground lair),Stuart Baird's smooth editing, and above all this impressive work, John Williams' absolutely perfect score. From the stirring opening theme (where like Richard Donner, I too can hear 'Superman' when the fanfare hits its first big moment) to the haunting love theme as Lois and Superman take flight, Williams' Oscar-nominated score is still a brilliant piece of music. Despite the fact that as of today Superman is almost 35 years old, the visual effects still stand, particularly the flying sequences. In a bit of nit-picking the climatic earthquake and flood is a bit undone by the fact that we can tell they are obviously miniature models, but that really is a minor point. By taking this seriously without being somber about it (allowing for humor to slip through), by grounding things in a certain reality (no pun intended), by casting unknowns in the leads and anchoring them with established performers, Superman did just about everything right. Even the length is not an issue: it took its time in building the myth of Superman. Instead of rushing through his origin: birth, teenage years, and metaphysical journey to other worlds, Superman builds its story for those with no real concept of his origin. By allowing the story to build, we get to know Superman and how he (and Clark Kent) came to be. Superman is the standard to which all other comic-book based films are measured against. It is an extraordinary film, one filled with great performances, a sweeping epic feel, both serious and humorous, and one that set the standard for all comic book films that came after. Superman is the Grand daddy of superheroes and fittingly this movie is indeed the King of Superhero movies. 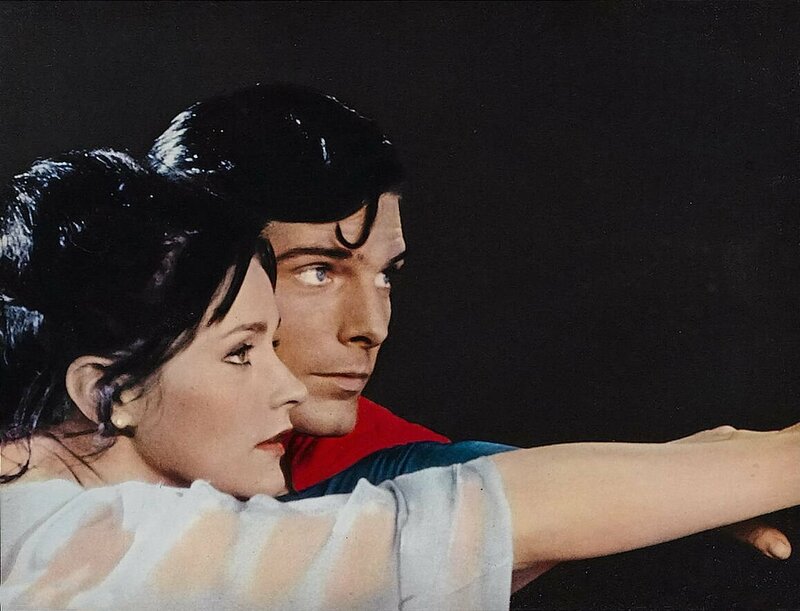 Chris Reeve made a great Clark Kent/Superman and Margot Kidder a likeable Lois. Donner made an epic movie, worthy of the Last Son of Krypton. I am eager to see Man of Steel. I think it has the potential to be a equal if not outdo this movie. Although I'm reserving judgment until I see Man of Steel (which will conclude this Superman Retrospective), I have learned through bitter experience not to get too excited about a film. For Man of Steel to indeed topple Superman as the standard to which other comic book-based films is a mighty task. So far perhaps only The Dark Knight comes close, but I didn't care for it. The only thing that could work against the movie could be Henry Cavill's performance. The direction, music and the rest of the cast looks competent to me.